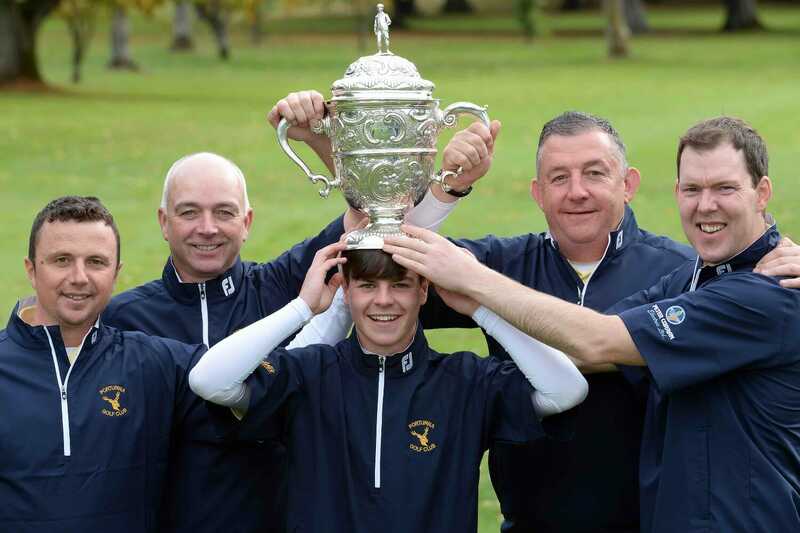 ​​After their Mixed Foursomes win earlier in the week, Portumna won their second all-Ireland title in four days as they captured the AIG Junior Cup while in the AIG Senior Cup, Portmarnock made their own piece of history with a 20th win. In the Junior Cup the winning point , and his second winners medal of the week, was secured by Damien Burke on the 16th green after Gerard Lynch and Sam Murphy had won the top two matches for the Galway side against the Ulster champions Fortwilliam. Meanewhile, Portmarnock had the task of tackling a tough Royal Portrush side and notched their 20th win in the Senior Cup when Geoff Lenehan holed the winning putt – having also done so seven years ago in the same situation for the club’s 19th win.